A traditionally, classic way to display your most cherished moments. 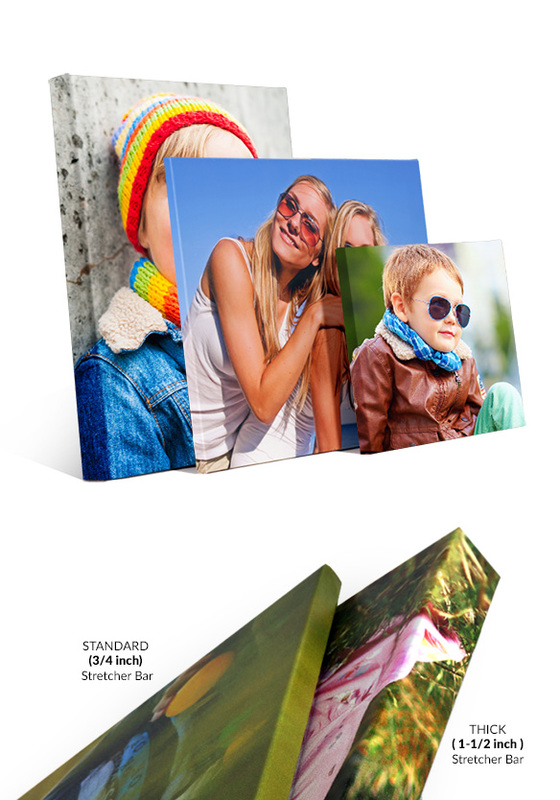 Your photos are stretched around all four edges creating a seamless, professional gallery style look. No frame is needed with this technique. Your image will flow over all four sides of the canvas creating a seamless way to display mementos. Images are printed with top quality archival inks on 100% canvas and then stretched over a kiln dried pine wood frame. Canvas Prints arrive ready to hang and do not require a picture frame.